One of the real problems with eating six meals or so a day is food preparation. It is easy to eat a bunch of meals for a couple of days but to consistently eat a lot of times over the long haul you need to have some shortcuts. Having a protein powder supplement to make a quick meal is one of those shortcuts. There are a couple of things that you should look at when buying a meal supplement. First of all you need to make sure that you know what you are getting. Most supplements are just cheap soy protein or lower quality protein. 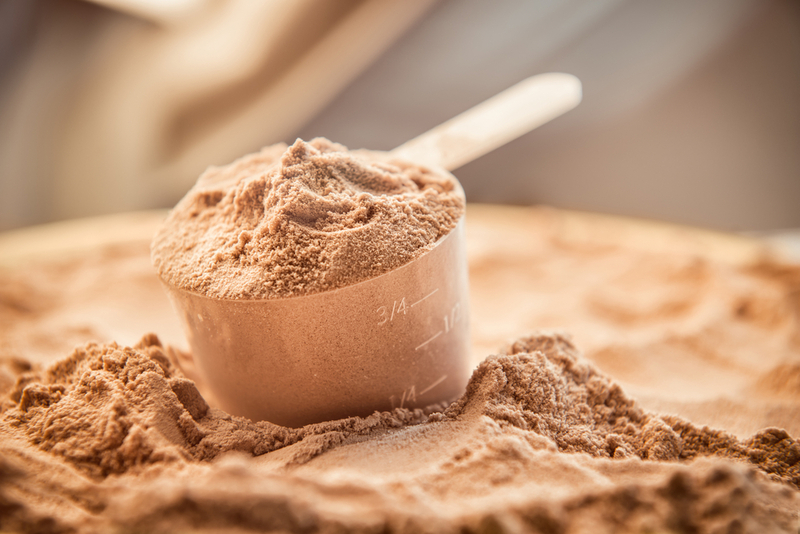 Make sure that your protein powder is whey protein based. Secondly make sure that the powder that you select is mostly protein. The cheapest powders have a lot of carbohydrates and carbohydrates are another way that producers can make a cheap but low quality powder. Lastly when buying for price make sure that you do not buy a powder that has any additives. in it. Most of the time creatine or some other supplement is added to make your protein a super-protein that you may not need and you will certainly pay more for it. If you are looking to optimize the health value of your protein powders, I recommend two options. First, I do agree that whey should be a choice over soy and that it should be a good brand without additives. I would add that it should be organic, and 100% concentrate Not isolate. Just like eating fresh food as opposed to packaged foods, there is less processing involved in a concentrate as opposed to an isolate. Also, check in to the information on hemp protein many people are now opting for hemp, with the claims of an even “cleaner” and healthier protein option.